And so it's November. November is the month of my dad's and brother's birthdays and what would have been my grandmother's birthday. It's also the month of one of the most delicious holidays: Thanksgiving! I'll be overseas for Thanksgiving this year, but wanted to share a Thanksgiving related recipe with you I made in collaboration with Superior Farms. They sent me a gift card to cover the ingredients and challenged me to create a recipe using lamb that could make it onto your Thanksgiving table. Immediately I thought about using lamb lollipops. These are fun to eat and can be served as an appetizer, a snack, or the main course. 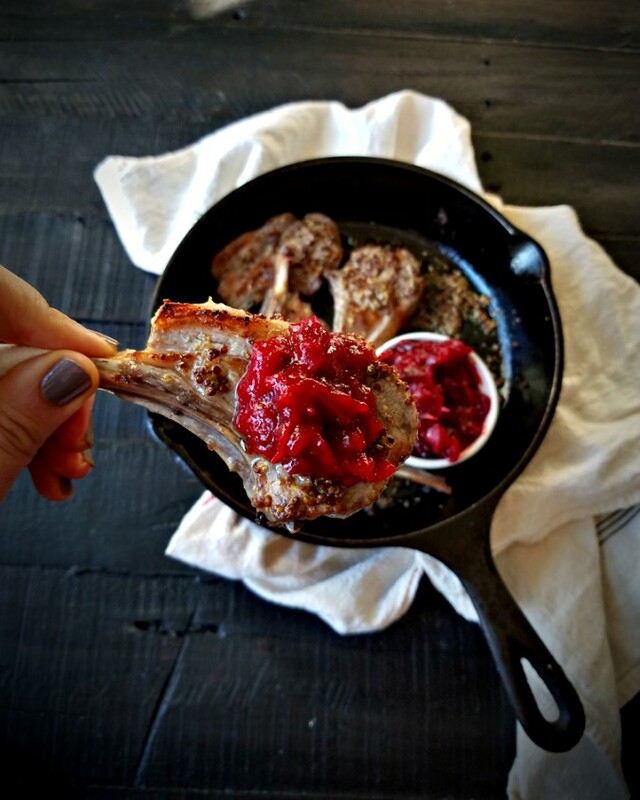 The cranberry sauce I created has a bit of sweetness and some heat, and can be served not only with the lamb, but also with the turkey, or even on toast with peanut butter! 2. Heat a cast iron skillet. Add enough olive oil to cover the bottom of the skillet and allow to heat. 3. 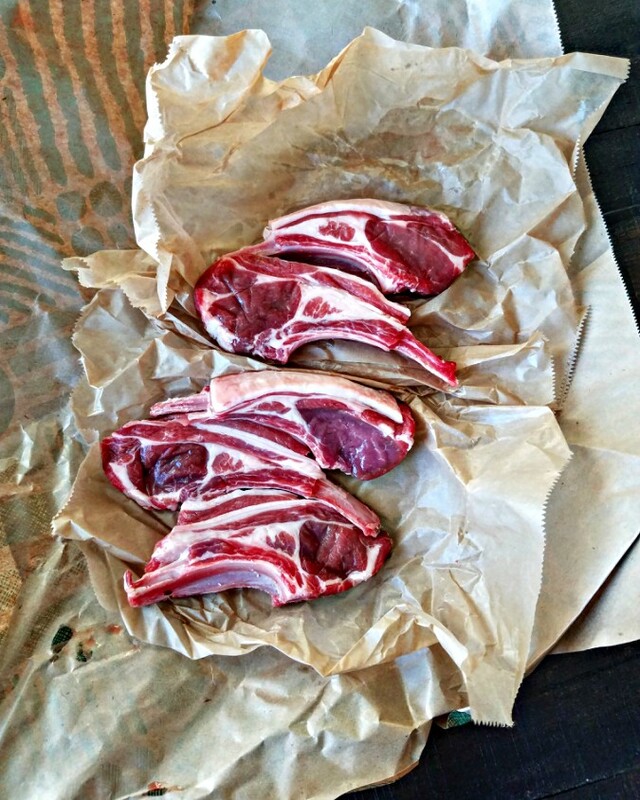 Season lamb lollipops with salt and smear with mustard on both sides. 4. Sear the lamb in the oil for 2-3 minutes on each side and then broil until it's golden brown and the mustard starts to sizzle. 5. Meanwhile, make the cranberry sauce by adding cranberries, orange juice, sugar, and adobo sauce to a small pot, bringing the mixture to a boil and then simmering the sauce for about 5 minutes. Use a wooden spoon to crush the berries. 6. 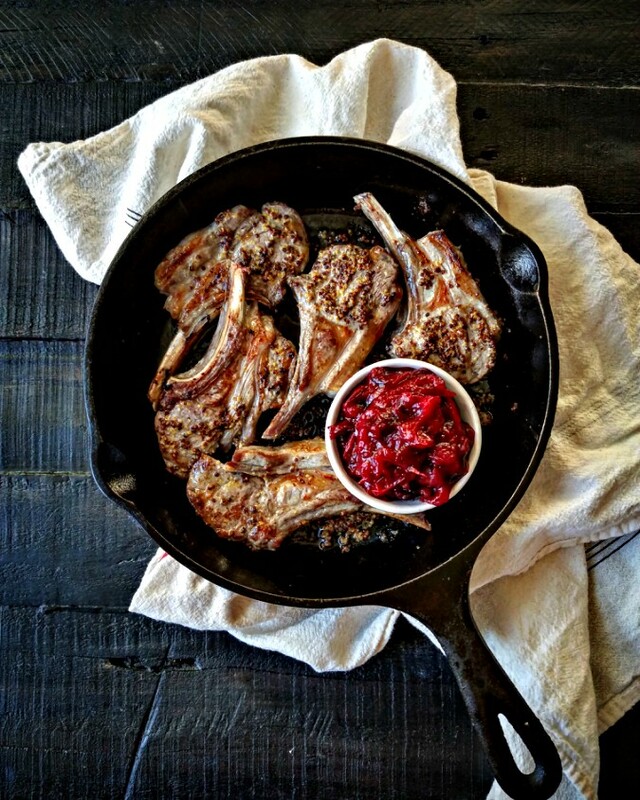 Serve the lamb lollipops topped with the cranberry sauce. Be careful because the bones will be really hot!